This week I wanted to share a recent finish that was actually started years ago… so many years I am a little embarrassed. 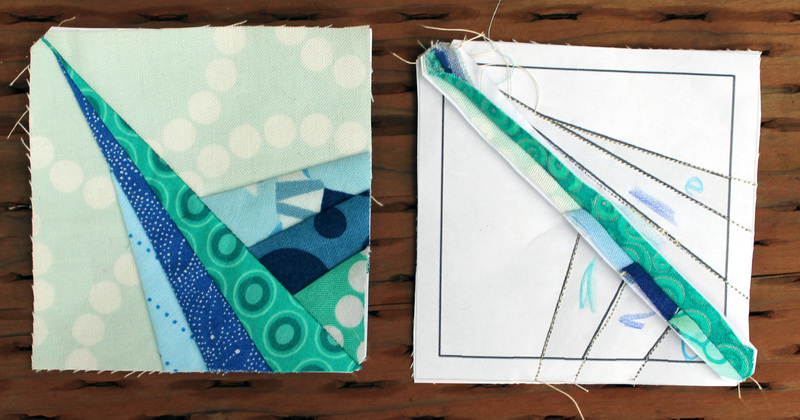 A few of these blocks were left over from a Portland Modern Quilt Guild challenge in 2013… the rest are ones that I added (some I even designed the paper piecing pattern for!)…. Okay I have to admit I have a problem letting things go and this was particularly true of the couple of blocks I inherited for the charity program. They just screamed to be made into a quilt, but they were so bright that they did play nicely with any of the other orphan blocks I had… you see my dilemma right, I had to make more blocks to go with them. This quilt has already made its way to the local PICU where it definitely brightened some kids stay, I am sure of it. 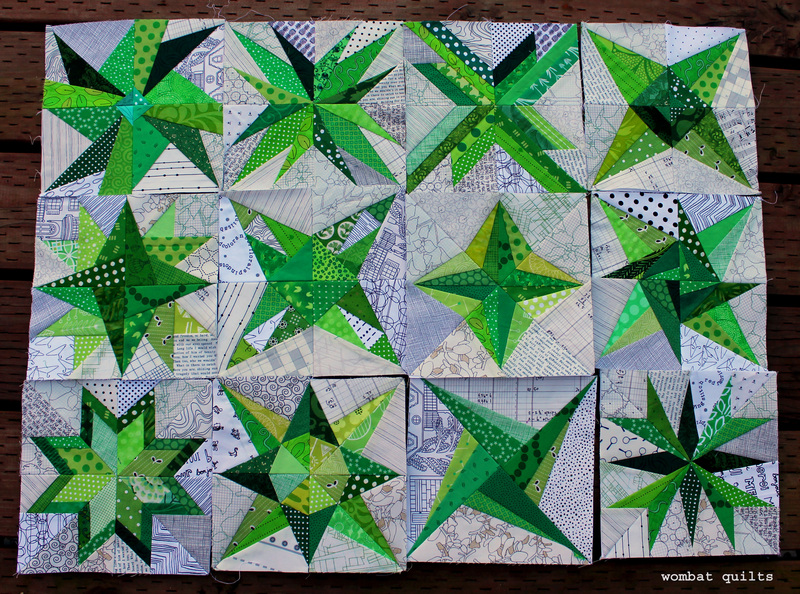 As promised it is more complex than last weeks with 32 pieces but still less than some of my bigger star blocks! 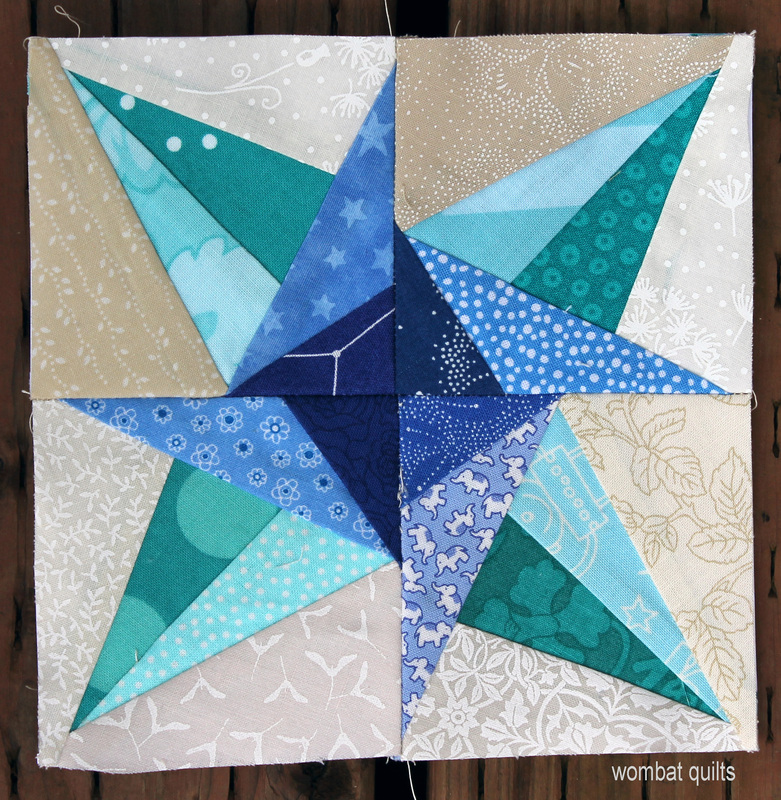 The free PDF for this star can be found here…Lonely Star Pattern. If I was to make this star again I think I would alternate the light and dark greens more, as you would in a traditional Lone Star quilt. I am still not sure what I am going to do with them all but a plan is brewing…. I was really inspired by the QuiltCon quilts I have seen on Instagram…so there will be negative space and an off grid layout I think! 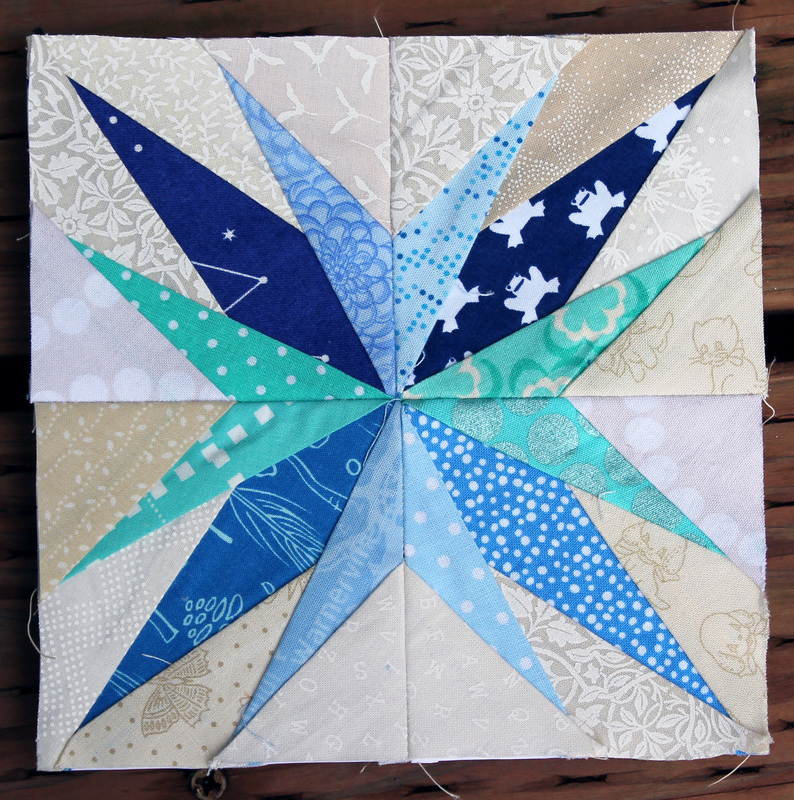 This darling star is 6 1/2 inches (for a 6 inch finished block) and the pattern comes from Don’t Call Me Betsy’s Lucky Stars BOM from last year (2013). 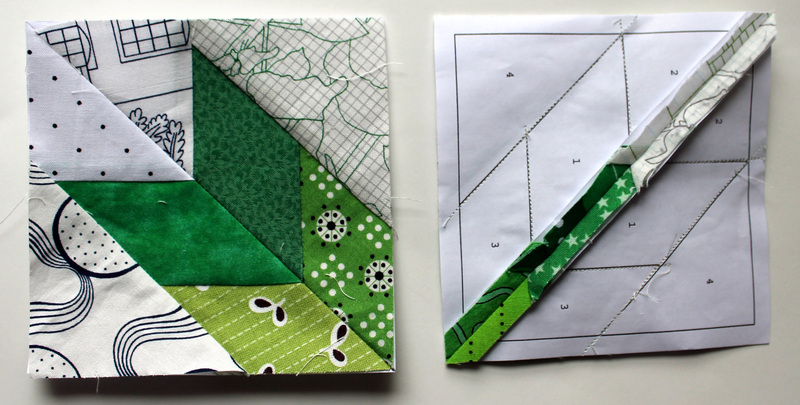 I loved this paper piecing BOM series but extra loved the fact you got every block in two finished sizes per pattern – a 12 inch version and 6 inch version. I had not made the 6 inch blocks before so thought this was the perfect time to give some of them a run. I went with some of the easier patterns at this size. There are some beautifully complex blocks in this series but I was not emotionally ready to tackle them at the small scale. 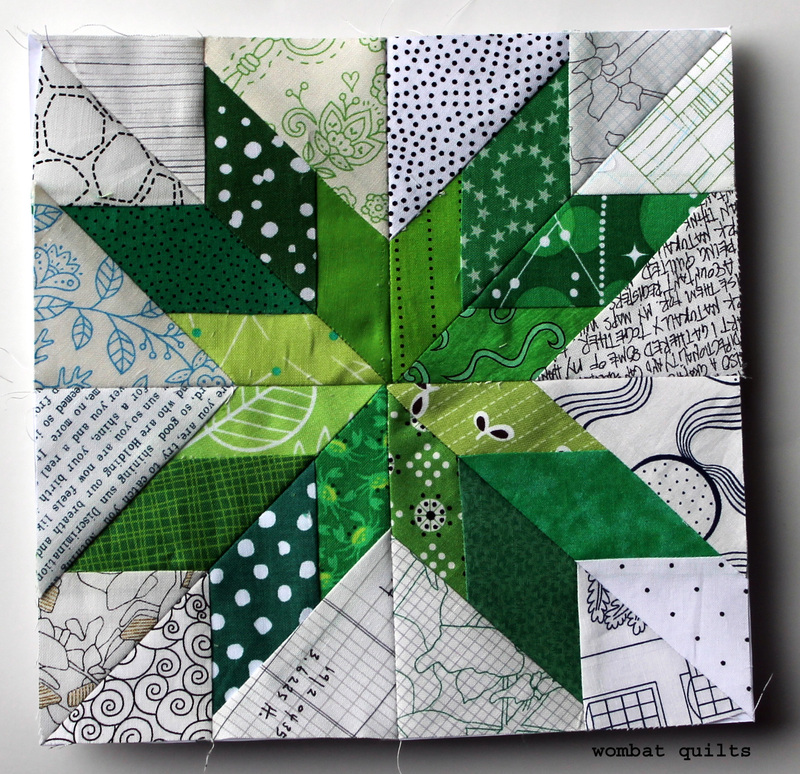 The Lucky Star paper piecing series is running again this year and you can still get last years series as well. 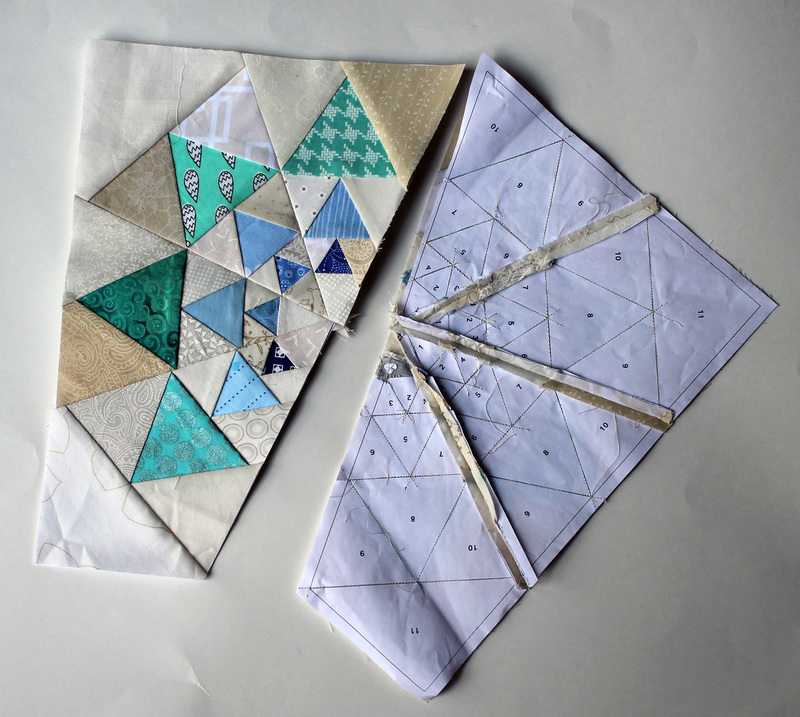 Elizabeth at Don’t Call Me Besty has fabulous instructions and each BOM series comes with great introduction to paper piecing instructions and test blocks. It is worth checking out. So these are the last of the May blocks heading to Sarah. I will now sit patiently and wait to see what wonderful palette she has chosen for June. 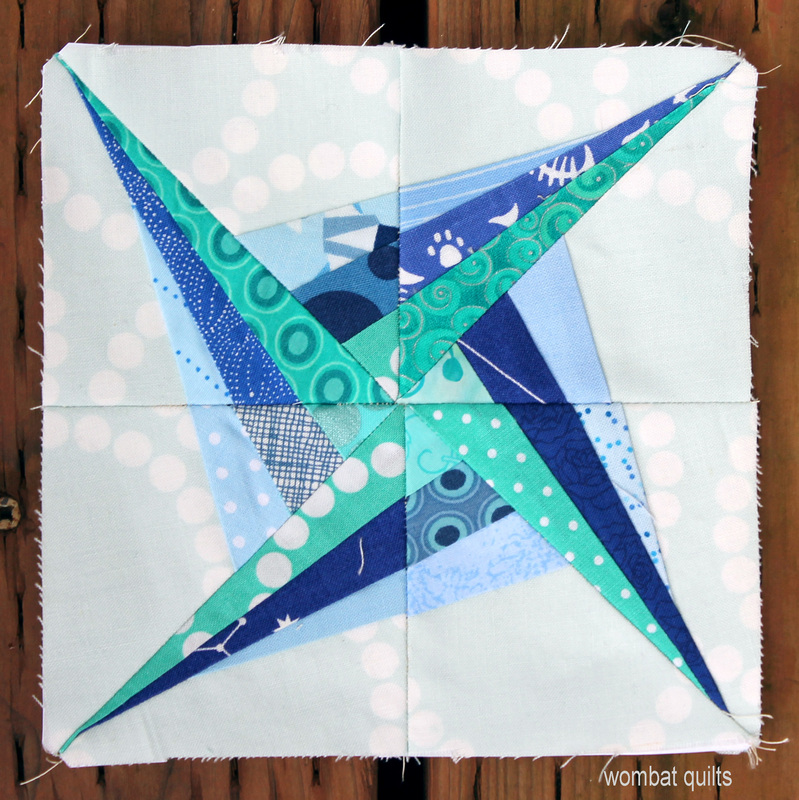 While I wait I will be dusting off my Starry Night quilt and doing a few more of these small Lucky Star blocks in blue and yellow. 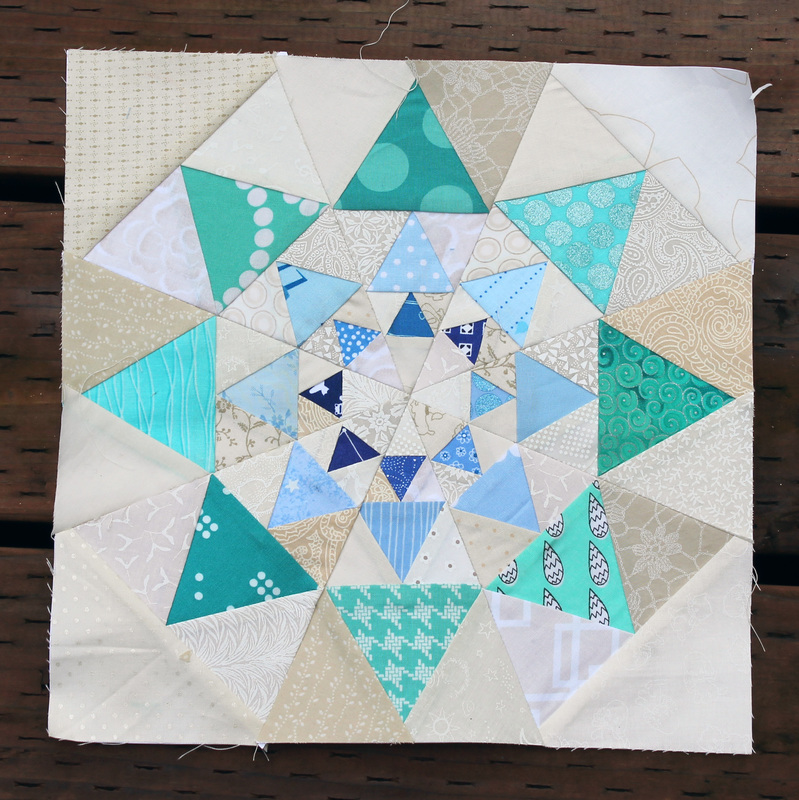 This week I ventured deep into the world wide web searching for a star pattern to make for this week’s Paper Piecing Monday… and ended up with this little ditty. The block is called ET Phone Home by Lilly’s Quilts and you can find the free paper piecing pattern here. Note the pattern is 12 inches for a 11 1/2 inch finished block not a 12 inch finish. To get the pieces to align was a bit of a challenge for me. I am use to patterns being designed so that you can easily match points so that things align perfectly. 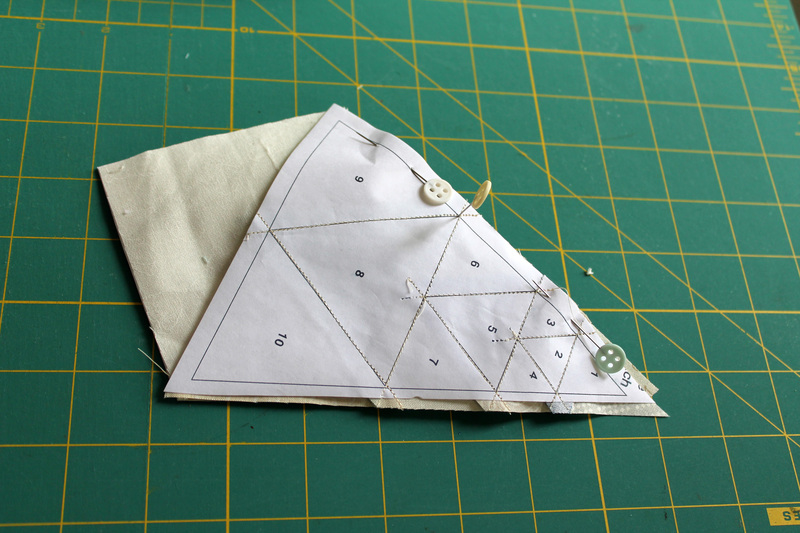 With this pattern there was lots of using pins to make things work (and for me lots and lots and lots of unpicking). So do not look to closely as the points are not all exactly, perfectly match up… but it is pretty close!